http://amykorman.com/contact/ buy levitra with priligy If you are looking for a creative way to make the most of your advertising dollars or to bring awareness to a passion, you may need a banner printing service in Florida. Vinyl banners are a great medium for printing custom designs and easily display them. The durability and malleability of these banners make them a popular choice for indoor and outdoor use. Let’s explore a couple of ways that you can use a custom printed vinyl banner. As a business owner, a custom printed vinyl banner is the perfect way to advertise your product or service. Many schools will allow companies to hang these types of banners on their gates if the business donates to the yearbook or another club. There are many other venues to hang large banners that drivers will pass by every day. Vinyl banners are perfect for advertisement because they are durable, customizable, and relatively inexpensive. Regardless if you are an individual, a business, or a non-profit, a banner is a cost-effective way to bring awareness to a serious issue. Create an infographic or have a powerful image printed on a banner and hang it outside of your building, in a park, or at a university. Although approval may be required, there are lots of venues that welcome content that brings awareness to major issues in our society. Include a call to action or your social media tag to unite a community around a common cause. Custom printed banners create the perfect backdrop for any display. You can print a gorgeous image on the banner to make your booth feel like a garden, or simply print your logo in the center of a simple banner for a more modern feel. The possibilities are endless! The best of using a vinyl banner for your display? They roll up nicely for easy transportation and storage. When you need to make a statement about an issue, event, or service, order a custom vinyl banner printed by a local Florida Graphic company. Custom Vinyl banners are one of the most reliable display options for your advertisement or public announcement. 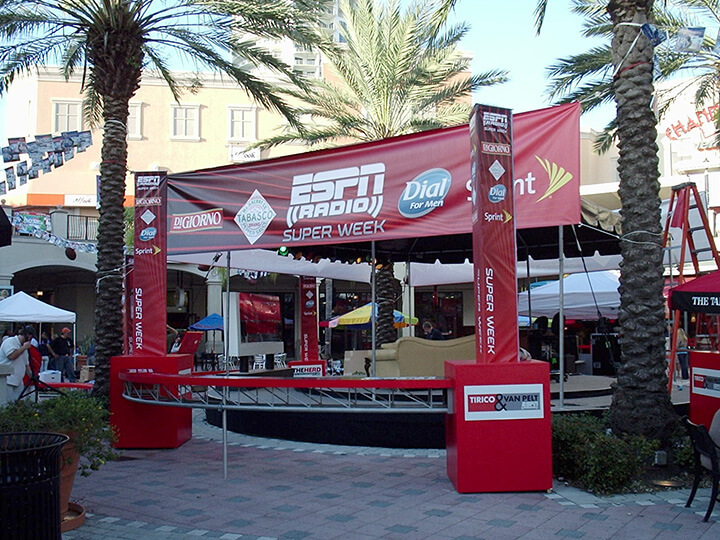 If you do not have access to a graphic designer, Florida Graphic Services can offer you both design and banner printing service. Don’t worry about finding the right file type when you get the whole process completed in one place.